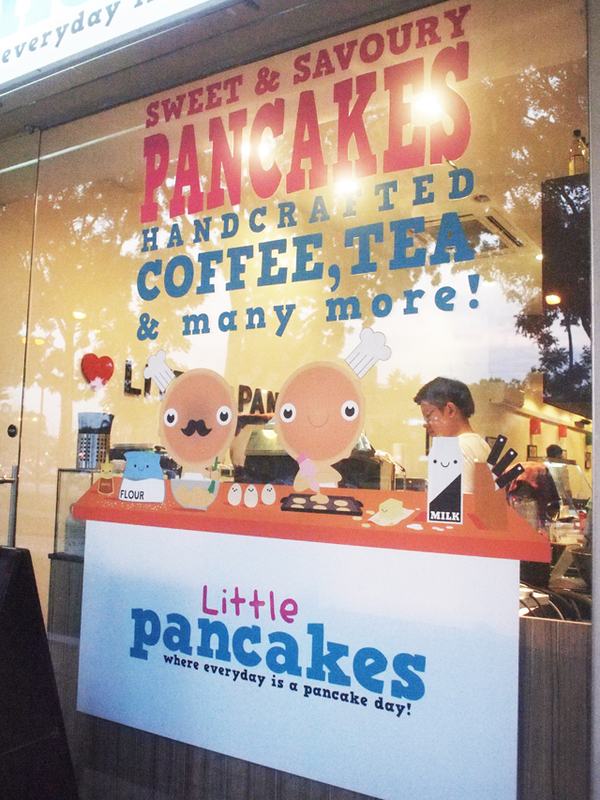 After seeing Little Pancakes being featured on some food blogs, Bf brought me here for dinner some time back! I am not a pancake person, so I was not sure if I would like the food. 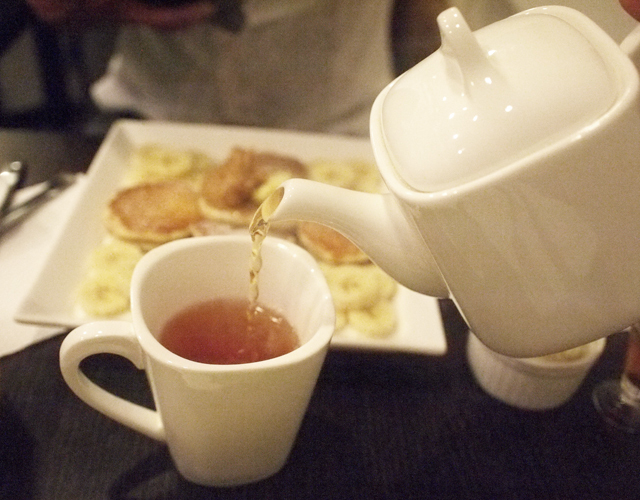 Decided to have hot tea to go with my pancakes. 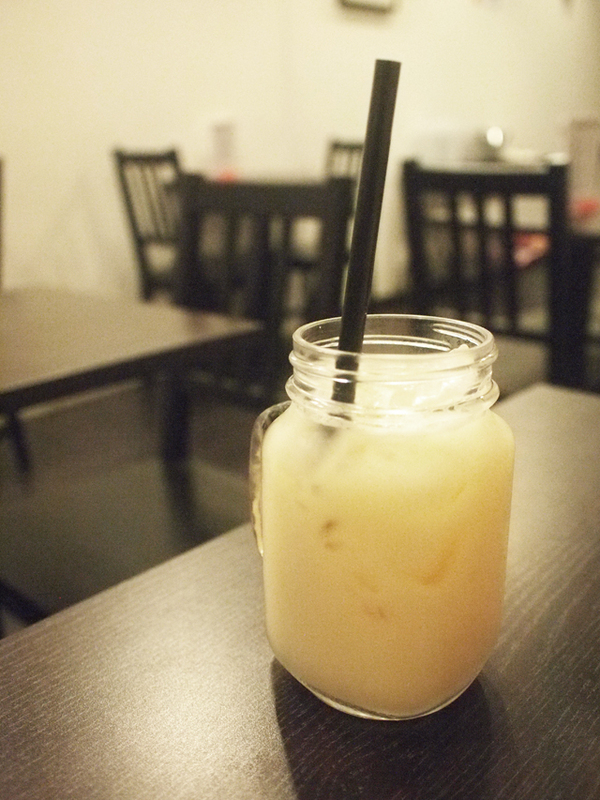 He wanted to try something special so he ordered the Lychee Yakult. I like it a lot! It is sweet and pleasant, with lychee chunks. Goes well with the meal too. He had "Peanut Butter Time". 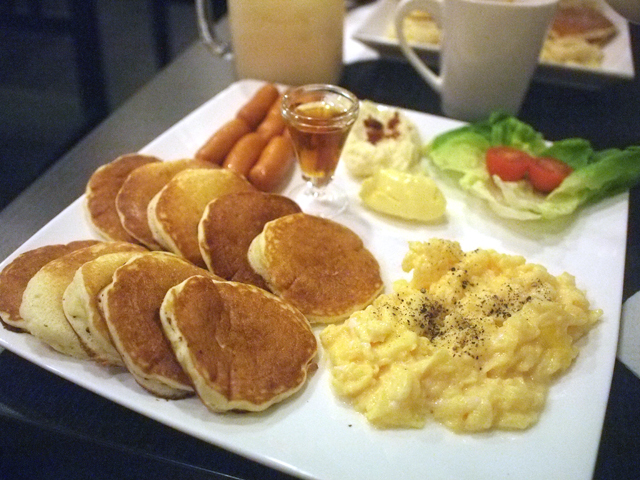 I forgot the name of mine, but it was something like the usual breakfast items such as sausages and scrambled egg. I usually don't eat potato salad but the one here was good. I enjoyed my dish very much!! 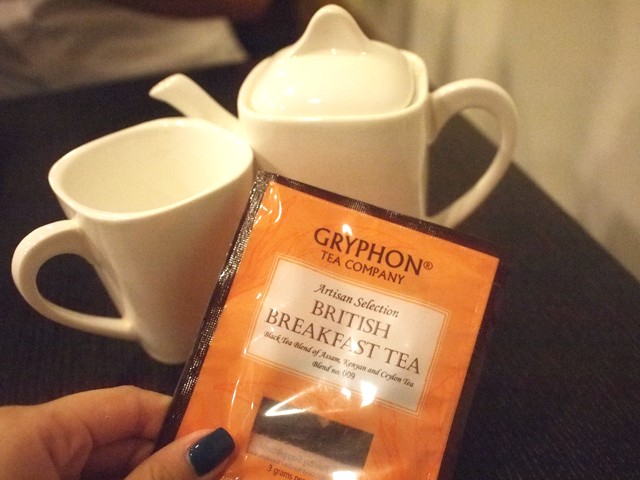 It was better than I expect. 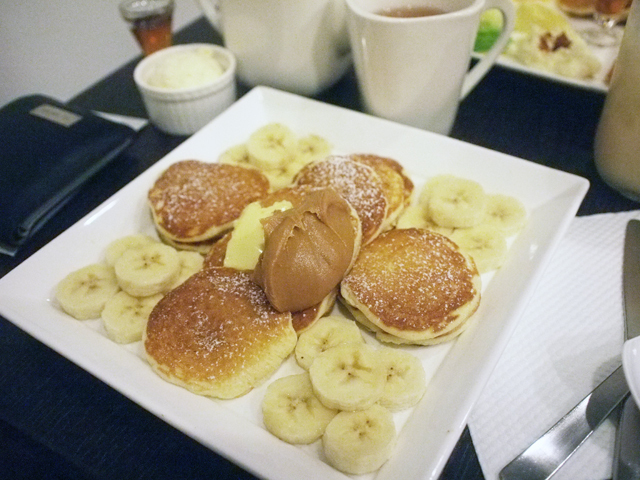 Something about the pancakes being tiny is that it's much easier to finish them than regular sized ones. As it was only a casual date, I wore a simple top with this pink shorts I got from MISSQUEENIE.